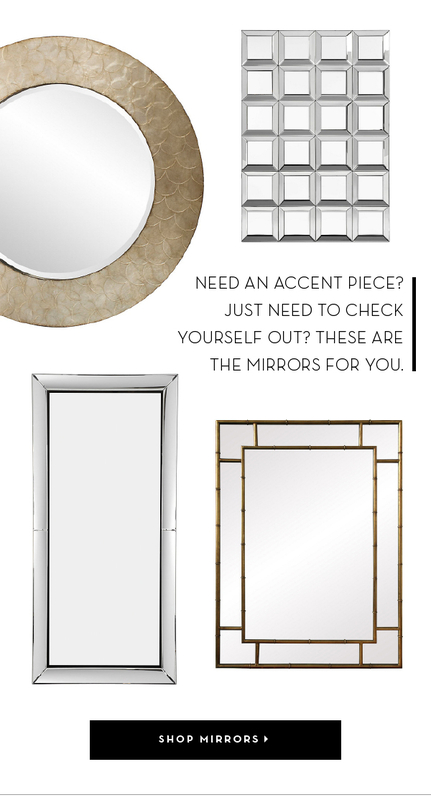 Round antique gold frames, classic quatrefoil motifs, and full-length beveled glass mirrors add show-stopping style and reflect light in any room or entryway. 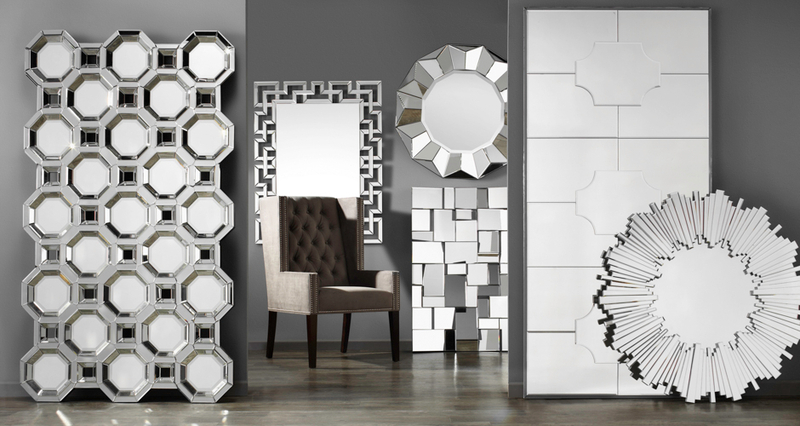 Stunning hand-cut glass mirrored furniture offers chic embellishment to our coffee tables, nightstands, headboards, cabinets, chests and bar carts. 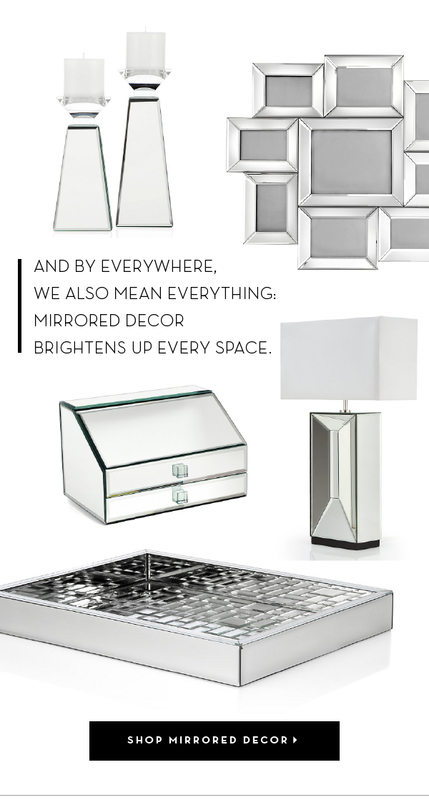 We like to think of small spaces as more than just cozy. With less space to fill, there's more room to splurge on everything you want, with pieces that prove style and versatility are not mutually exclusive. © 2018 Z Gallerie, LLC.